One of the key challenges of the 21st century is closing the gap between current rates of food production and increasing global food demands, requiring new ways to improve crop productivity. The ARC-funded Centre of Excellence for Translational Photosynthesis (CETP) seeks to identify natural and modern solutions to supercharge photosynthesis as a means of improving crop yield and efficiency. 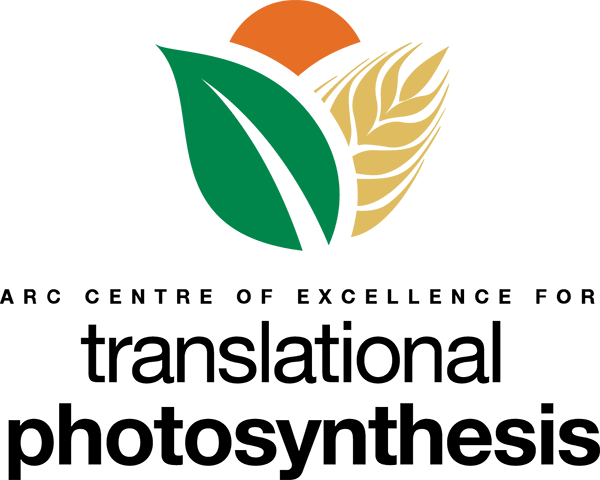 The CETP is funded for a total of $22M over 7 years starting in 2014, and brings together prominent scientists from the Australian National University (ANU, lead organisation), Western Sydney University, University of Sydney, University of Queensland, Commonwealth Scientific and Industrial Research Organisation (CSIRO), and International Rice Research Institute (IRRI). The Western Sydney node of the CETP is housed within the Hawkesbury Institute for the Environment (HIE) and led by Dr. Oula Ghannoum, who is also Deputy Program Leader within the CETP. 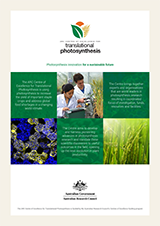 Research undertaken at the Western Sydney node of the CETP largely focusses on elucidating the molecular and environmental regulation of C4 photosynthesis using naturally-occurring and genetically altered C4 grasses. Other research projects investigate how leaf traits modulate the photosynthetic responses of C3 crop and tree species to the environment. The evolution of C4 photosynthesis around 30 million years ago coincided with declining atmospheric CO2 and increased global aridification and warming. C4 photosynthesis evolved multiple times in diverse lineages. 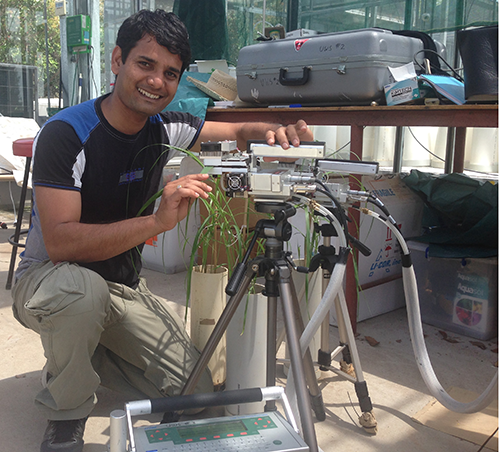 Ms Harshini Pinto, a PhD candidate (2011-2014) is investigating how the evolutionary and biochemical diversity among C4 grasses is aligned with water- and nitrogen-use efficiency traits. Future research will focus on how stomata respond to the environment in diverse C4 grasses. C4 photosynthesis is characterised by the operation of a CO2 concentrating mechanism (CCM) which elevates CO2 around Rubisco in the bundle sheath. C4 plants are grouped into three biochemical subtypes following the major C4 acid decarboxylase in the bundle sheath cells (NAD-ME, NADP-ME and PCK). The PhD candidate, Mr Balasaheb Sonawane (2013-2015) is investigating how light and temperature impact the efficiency and plasticity of the CCM in C4 grasses by combining leaf gas exchange-TDL measurements with in vitro enzyme activity of the main carboxylases and decarboxylases operating in C4 leaves. Ms Fiona Koller, a recently-appointed Technical Officer, will focus on the corresponding changes of protein and gene expression. This project is undertaken in collaboration with Associate Professor Spencer Whitney (Chief Investigator, CETP-ANU), Dr. Robert Sharwood (Associate Investigator, CETP-ANU) and Professor Susanne von Caemmerer (Deputy Director, CETP-ANU). Rubisco, the main rate limiting enzyme of photosynthesis, suffers from poor catalytic properties relative to other biological catalysts. Finding more efficient forms of naturally occurring Rubisco or bioengineering catalytic enhancements are key targets for photosynthetic improvement. 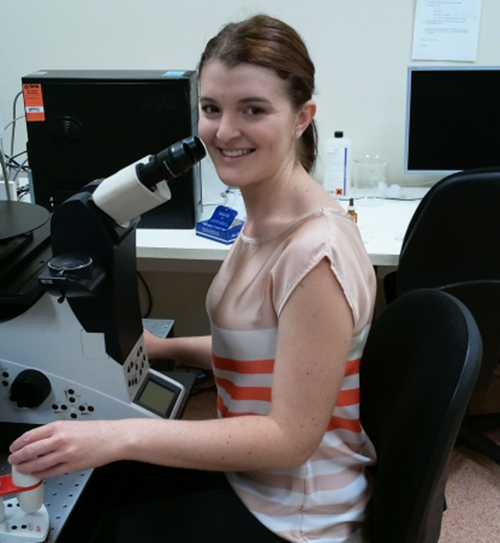 Together, Whitney, Sharwood and Ghannoum are determining the diversity of Rubisco's thermal responses in Australian C4 grass and tree species, and investigating the impacts of variable Rubisco catalysis on leaf photosynthetic performance. Sugars and starch are the end-products of photosynthesis. Photosynthetic capacity relies on the rate at which these end-product are being utilized or exported to sink organs. Sugar sensing pathways (ie: HXK, TOR, SnRK1…) are key regulators of sugar partitioning in plants. To date, few studies investigated the sugar signalling components in C4 plants where the photosynthetic pathway is biochemically diverse and shared between two photosynthetic cell types and cycles. 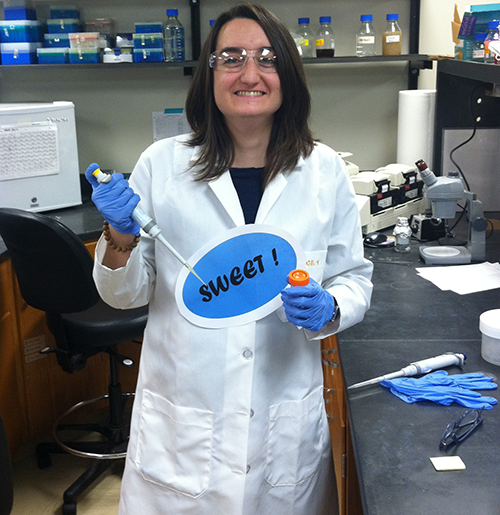 Dr Clémence Henry, a newly-appointed Research Fellow, seeks to elucidate the role of sugar metabolism and signalling in C4 plants as a means of improving photosynthetic performance. This research is undertaken in collaboration with Dr. Robert Furbank (Partner Investigator, CETP-CSIRO). The C4 photosynthetic pathway is a set anatomical and biochemical modifications to the ancestral C3 pathway. C4 photosynthesis involves the close collaboration of two metabolic cycles (C3 and C4) operating across two photosynthetic tissues (mesophyll and bundle sheath cells). While much is known about the localisation and coordination of enzymatic and metabolic activities between the two cell types, there remain important gaps in our knowledge. In particular, Dr. Ghannoum is interested in elucidating the energy partitioning across the mesophyll and bundle sheath, and its relationship with carbon and amino acid metabolism. This project is undertaken by Ms Fiona Koller, a recently appointed Technical Officer, who will be joined by a PhD candidate to be appointed in early 2015. The research involves Drs Anya Salih (Western Sydney University), Robert Furbank (CETP-CSIRO), Robert Sharwood, Fred Chow and Professor Susanne von Caemmerer (CETP-ANU). This project aims to identify plant and photosynthetic traits governing crop water and nutrient use efficiency under elevated CO2 and heat stress. The project also aims to improve crop growth models by incorporating photosynthesis, the effects of elevated CO2, heat stress and resource use efficiency traits. This knowledge will help plant breeding and agronomic management strategies. 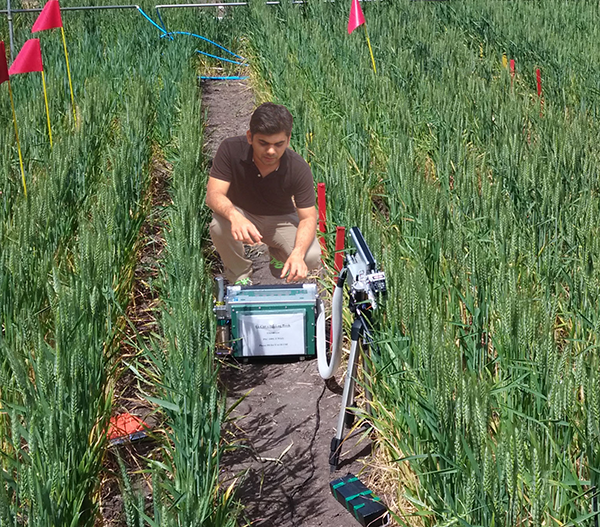 This research focusses on wheat and is undertaken by Mr Sachin Chavan, a PhD candidate (2014-2016) and Dr. Remko Duursma (Associate Investigator, CETP-Western Sydney) and is funded by a DAFF grant led by Professor Michael Tausz (University of Melbourne).